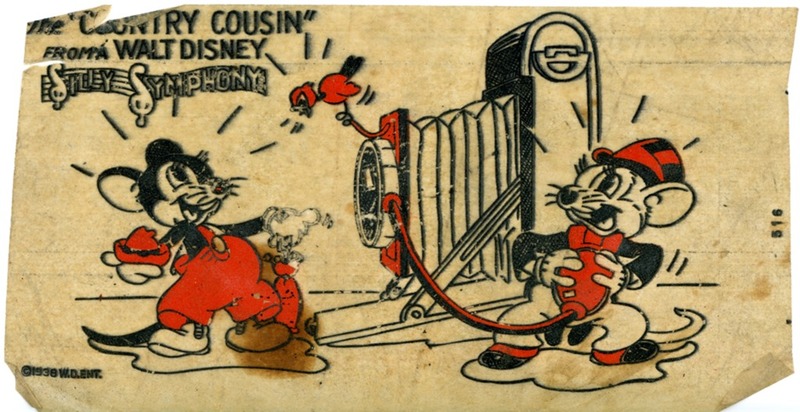 Rummaging through a box of old greeting cards that belonged to my mother, I found an envelope containing 17 wax-based Silly Symphony heat transfers published by Walt Disney Productions in the 1930s. Disney produced 75 Silly Symphony animated short musical films between 1929 and 1939. What I found are equivalent to modern iron-on transfers — except these are at least 75 years old! I’m sure some of them were used on clothing for my older sisters. The transfers were in an envelope addressed to my mother at a residential address near downtown Albuquerque. Some of them were stuck together, but a few warm breaths loosened them up enough to separate them with no damage.